You can stroll down to the largest public beach access point in South Walton, or spend the morning fishing from the gulf. Take a bike ride around the quiet streets, or grab a bite to eat at one of the popular local eateries. 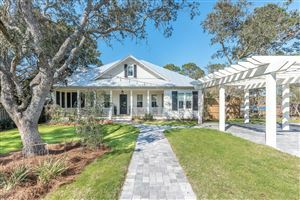 Inlet beach is located at the eastern edge of South Walton, Inlet Beach has a laid-back, residential feel, with an eclectic mix of classic Florida beach cottages and new multi-story homes.